Shortly after a past ministry trip to South America, I was in prayer, meditating on God’s plan in and through nations. At that moment I saw a picture of a chess board and a hand moving the pieces or players with deliberation. As I watched I sensed that the players were nations and they were being strategically positioned by the hand of God. I sensed that the destiny of nations and their leaders were hanging in the balances as in Daniel 5:27. I then heard the word End Game. I was vaguely familiar with the term and thought it might be a movie. 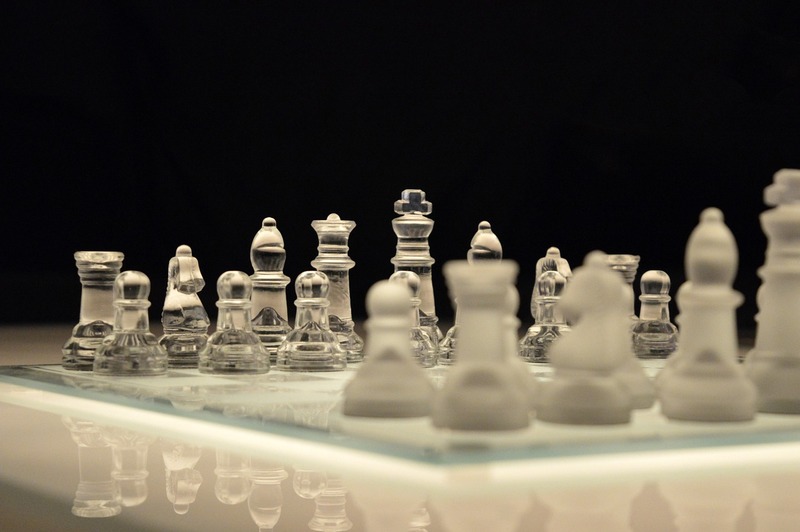 When I checked the definition I was greatly stirred to discover it was originally a chess term that depicted the final moves of the game of Chess—the end stages of negotiation, and confrontation to bring about ‘checkmate’ thereby capturing the opponents king. Deep in thought about this, I randomly opened my Bible to Jeremiah 18 and read verse 5-11. My Eyes then caught the title of the commentary: ‘LORD OF NATIONS.’ The commentary below this verse stated: “Both Old & New Testaments claim that the Lord is the one true God and that God is supreme over all nations and all peoples. The Scriptures affirm this Supremacy as true even when rulers do not believe in or acknowledge the One true God. Kings and Emperors might believe that they control events in their realms, but they are wrong, THE LORD GOD IS ALWAYS IN CONTROL,” (emphasis mine NLT Bible). I knew that God was giving me some understanding of Global events taking place. Nations have been, and are presently maneuvering, shifting and forming alliances with other nations, choosing to either align themselves with the Lord and Israel, or against Him and Christ, His Anointed One, thereby aligning themselves with Satan and evil. There are many alliances that have been formed such as the BRICS – Brazil, Russia, India, China, and South Africa, the GCC – The Gulf Cooperation council: Bahrain, Kuwait, Oman, Qatar, Saudi Arabia, and United Arab Emirates, the GIIPS: Greece, Ireland, Italy, Portugal & Spain, the BELLs: Bulgaria, Estonia, Latvia & Lithuania, the SCO: The Shanghai Cooperation – Russia, China, Kazakhstan, Kyrgystan, and Tajikstan, Ubekistan with observer states Iran and India and Pakistan…to name a few—Many of these pushing toward a new world currency. It is important that we see, hear and understand Global realities through Spiritual eyes, not by the Media that is generally slanted. God’s End Game is Comprehensive and Global. It takes into account Nations, Cities, Communities, local churches and Individuals. A line is being drawn by God and nations are being given the opportunity to make the choice for or against the Kingdom of God! There are moves and counter moves occurring in the natural, and Spirit Intelligence is the key to understanding for the Church’s intercession and strategy in the days ahead. In Israel, the MOSSAD is possibly most formidable intelligence Agency in the world as Israel stands secure under the Divine mandate of God, and nothing can thwart His plan and purposes from unfolding in the precise timings of God. Nations that are friends and allies of Israel also fall under this Divine supernatural providence in light of Global Kingdom interests. Canada is a key ally of Israel that God will invest mightily with Spirit Intelligence for the purposes of the Kingdom of God in the Day of Battle—the DAY of God’s Power! Spirit Intelligence as Elijah received (2Kgs 6:17), and Rees Howells received during WWII will be vital to strategic intercession in the days ahead. God continued to reveal an inkling of a Divine strategy when I stumbled upon an article of Canada’s history during WWII. 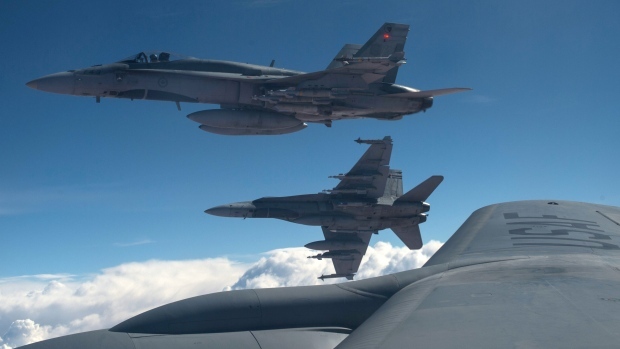 As Requested by Britain, Canada became the nation chiefly responsible for air training in a program created by Britain, Canada, and Australia, known as The Plan or BCATP: British Commonwealth Air Training Plan. Canada was chosen as the primary location because of the possibility of enemy attacks on Britain. Our Intercession must now graduate to the place of tactical accuracy that strikes the target, this comes only through an authentic union with the intercession of Jesus. Jesus is raising up a leadership that will unite with Him in His intercession—strategic intercession that brings forth His ends, in His Campaign to take Dominion. 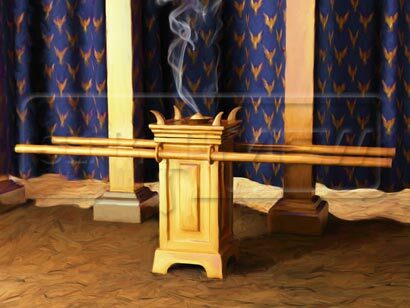 In the Temple there were two altars, one was for sacrifice and the other was set before the Holy of Holies for burning incense. Both altars were united by the blood of the sacrifice transported to the horns on the Altar of Incense. These Altars on earth represented the Altar set before the Throne in Heaven. There were four Horns at the corners of both altars representing the fullness of the Power of God. These four horns marked off a sacred space that became a meeting Place between the human realms and the Divine—where the sacrificial offerings were supernaturally transported from the visible to the Throne of God. The Altar is the place where we meet with God, where kingdom business is done and Divine transactions are made. The Altar ultimately represents covenant, a binding relationship rooted in a wholehearted commitment that calls for faithfulness and complete obedience to the will of God. As I was led on by God in my studies of the Altar I perceived that there was great activity in Heaven that revolved around the Altar. It was the HUB around which all activity took place before the Presence of God. The generation that prepares the way of the Lord is an army whose lives are on the altar that are a pleasing aroma to God. They live in union with Christ having become ‘living sacrifices’ possessed by Him, in union with his mind and heart for His kingdom and His Glory. This is reasonable service as the Word declares. The Altar depicts the utter Lordship of Christ over all affairs pertaining to His Church. It is the place of humility and obedience that acknowledges God’s Sovereign rule over all mankind and all things pertaining to His House—where there is no agenda but His alone. It is the place from which the fire of continual worship from a broken priesthood ascends before the throne of God. As things are heating up on earth, God is giving His Body time to prepare, to get our lives in order and the House of God restored to the blueprint He founded it on, the Cross—The Altar of Sacrifice. I believe the model Church being prepared now and for the future is modeled after the Altar. It represents a people who have become living sacrifices, burning in love for Christ and wholeheartedly sold out to God. All churches may not adopt this but I believe God is presently working to establish at least one Altar in every City where He is given His place as LORD, where every knee bows and the Holy Spirit is in full control. The worship married to obedience ascending from these Houses will cause the Lord to pour out a blessing and revival fire on communities and cities—drawing out the Harvest to Himself. The union of God with such a people allows Him to rule and reign through them—they come and go in His Presence, ruling over His courts as promised by Him in Zechariah 3:7-9—as the filthy garments are taken off the priesthood they will be dressed in royal robes. These servants of God are being prepared as Plenipotentiaries—invested with authority and possessing full power, to transact business and execute judgments on behalf of the Kingdom of God. They will access the Agency of Spirit Intelligence and the authority to rule in the midst of their enemies in dynamic intercession backed by Heaven. These Leaders in God’s Kingdom and of Nations are now taking their place, finding the heart of God and beginning to implement His END GAME strategies for their Churches, their Cities and nations.“Take heed to what you are doing, for you do not judge for man but for the LORD, who is with you in the judgment” (2Chronicles 19:6).